Are you a current Red Hat customer? 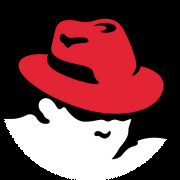 This group is focused on bringing together the Chicago Red Hat User Community for business and technical presentations, conversations and perhaps some food and drink. Membership is open to Red Hat customers, partners and people interested in Red Hat technologies. Some of the Red Hat products are: Red Hat Enterprise Linux, OpenStack, Storage (Ceph, GlusterFS), Virtualization (ovirt, kvm), CloudForms, FeedHenry (Node.js, Apache Cordova), JBoss Fuse (Apache Camel, Fabric8), JBoss BPM (jBPM), JBoss Data Virtualization (Teiid), JBoss EAP (Wildfly), JBoss JWS (Apache Tomcat), JBoss Data Grid (Infinispan), JBoss A-MQ (Apache ActiveMQ), JBoss BRMS (Drools), OpenShift (Jenkins, Git, Kubernetes, Docker, OpenVSwitch, RHEL, RHEL Atomic).